On March 2, SBS’s new Monday-Tuesday drama, “Daebak,” released pictures from its first script reading. “Daebak” is a fictional sageuk (historical drama) that tells the story of the fight between ex-prince Daegil, who was cast aside and forgotten, and his younger brother Young Jo. It will have many elements, including action, gambling, love, and even bromance. 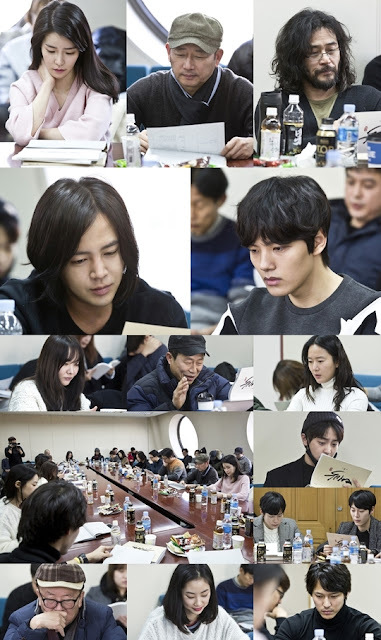 The script reading was held on February 15, and over 50 people, including director Kwon Soon Kyu and the writers, were in attendance. Jang Geun Suk, Yeo Jin Goo, Lim Ji Yeon, Jun Kwang Ryul, Choi Min Soo, Lee Moon Shik, Yoon Jin Suk, Yoon Ji Hye, Lim Hyun Shik, and Kim Chae Gun were some of the actors who attended. The actual reading went on for five hours, and all the actors were nervous yet attentive. 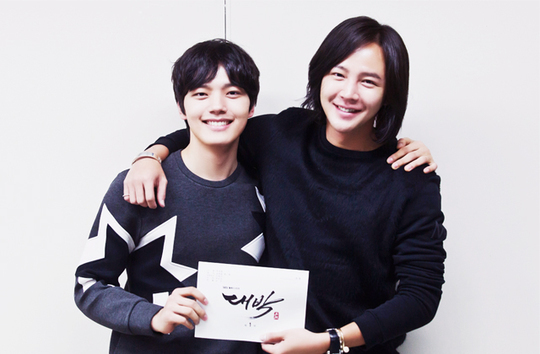 Jang Geuk Suk and Yeo Jin Goo were so prepared that it was hard to believe it was only the first script reading. They complimented each other while still maintaining their own color. 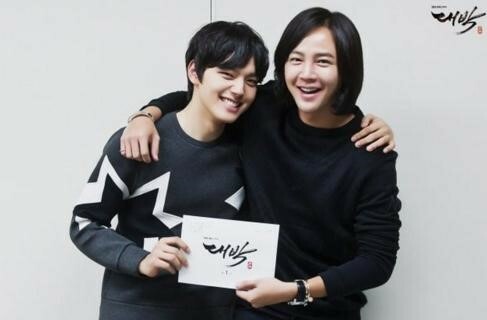 Like the actor he is, Jang Geuk Suk portrays Daegil with a light-hearted, yet formal tone, and Yeo Jin Goo uses his abdomen to voice the dignified tone of his character. Their completely different expressions and vocalization fit well with their characters, who grow up living completely different lives, increasing the chances for a successful drama. “Daebak” will air its first episode on March 28, at 10 p.m. KST.